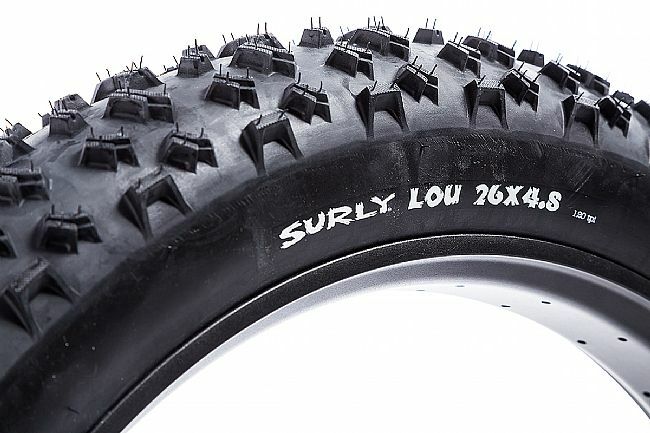 The Surly Lou is the 26 x 4.8" rear-specific tire specifically designed to pair with the Surly Bud. 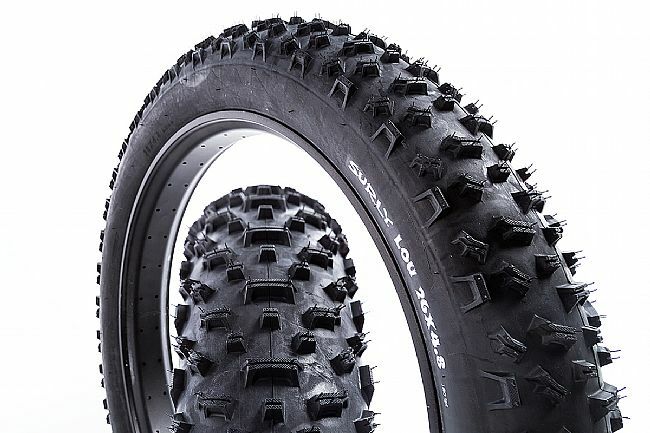 With its complementary tread of tall knobs, the Lou digs in over rooty, rocky, wet, muddy, or loose terrain, yet still focusing on stability and braking. Featuring a durable, thin-walled 120tpi casing, the Lou conforms to the shape of the ground – whatever that may be – for optimal performance and protection. Adding to the durability, the Lou uses a folding Kevlar bead to prevent slashing, stabbing, or other punctures.